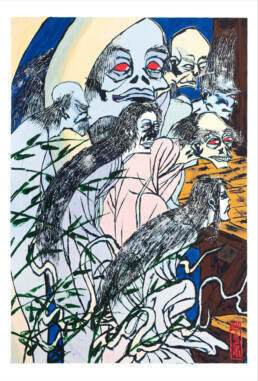 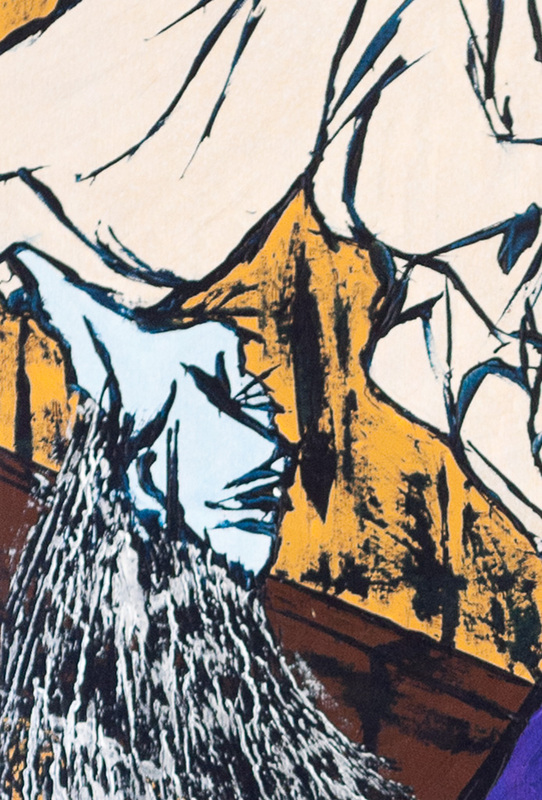 Japanese ghosts, monsters and demons entered western scene through the works of Symbolist. Long black hair, white robes, or long necks, spidery limbs, whole scenery transformed in collage of sculls, are images of Japanese folklore. 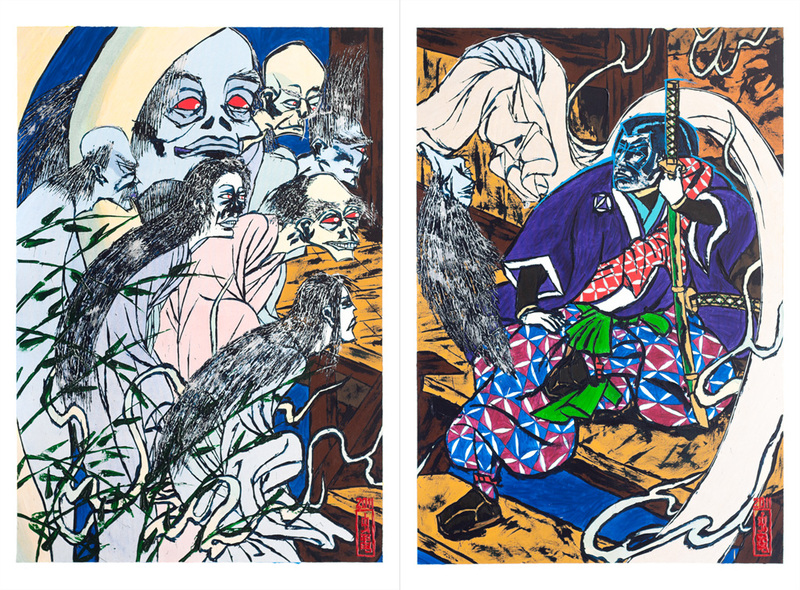 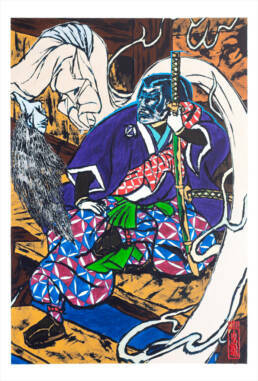 On this diptych we see TOKUGAWA Mitsukuni preparing to cleanse an old shrine from evil spirits. In this drawing I intended to depict Mitsukuni more realistically in contrast to spirits for whom I used metallic colors and underpaint technique to represent their ghastly nature. 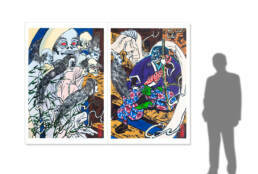 But during the painting I realized that to fight a demon you have to be a demon, and in a way, Mitsukuni was more than human.